crawling around in your nostrils. Air Sac Mites can get so numerous they'll kill your pet bird. Use good canary care and watch for the following symptoms. Eventually death by suffocation--complete blockage of the air passages--will overtake your pet bird. Not pleasant...and can you imagine having a family of mites living and crawling around in you nostrils? YIKES! That can't feel good. Makes me itch just thinking about it. Usually, symptoms such as repeated sneezing and clicking sounds will tell you that your canary has an infestation of Air Sac Bird Mites. So, make sure you're watching your canary's body language for any sign of a problem. If possible see a vet. He can do a tracheal swab to see what's in there...then treat accordingly. SCATT is a liquid solution containing moxidectin which attacks the nervous system of the bird mites but is harmless to your canary. Just a drop on your birds skin will virtually eradicate any mite or lice that is feeding on your canary's blood. Although, bird mites can be fatal if ignored...this disease is easily treated. My experience is that 80% of the time when a canary is sneezing or clicking or breathing heavy, it's caused by Air Sac Mites. today. If your pet canary is showing symptoms just follow the directions on the bottle. SCATT has kept my aviary and canary friends completely free of bird mites. SCATT is a very good value-->A little bit goes a long way. One bottle will probably last several years if you have just one or two birds. In addition to air sac mites there are scaly leg and face mites, red mites, and others. Have you read about Scaly Leg and Face Mites yet? Please do...these pests can do terrible things to your canary...click here. Return from Air Sac Bird Mites to Canary Disease Main Page. Can You Offer Some Helpful Info About Canary Disease? Have a tip or story regarding canary disease. How about a photo of a sick canary? 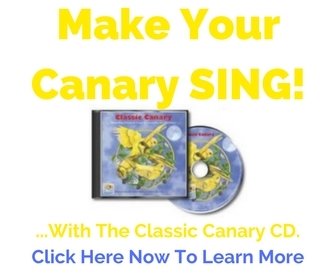 You may be able to help other canary owners by posting it here. Enter A Simple Title Here. For example, "How I Treated My Canary For MItes"
TIP: Since most people scan Web pages, include your best thoughts in your first sentence or paragraph.